I guess there are two kinds of people now those who love the new live adaptation of “Beauty and the Beast” and those who hate it. Some will tell you that this film is uninspired and lacks the charm of the original Oscar-winning animated film, adding it's not worth your time to see. But if you're a romantic and love the fantasy of the story, I think you'll be pleased with the film and the way it was adapted including the deeper backstory. The film does have pacing problems and the CGI work needed to be better but, all in all, the film will please most audiences. 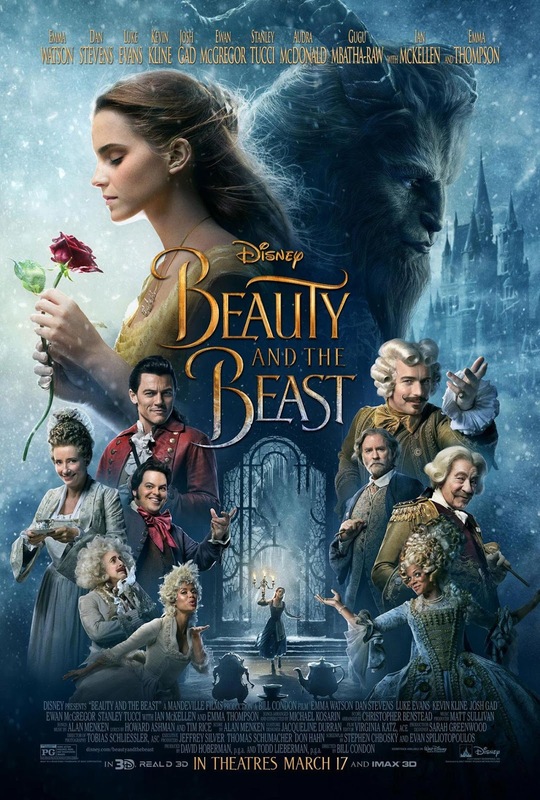 “Beauty and the Beast” will not make you forget the original animated film, quite the contrary, it will make you appreciate it much, much more. The film gets a B and is rated PG. I will bet you didn't know that there have been several live adaptations of "Beauty and the Beast" including one from 1946. If you'd like to check those out simply click this link and sign up for Netflix DVD and be our guest for a month FREE!